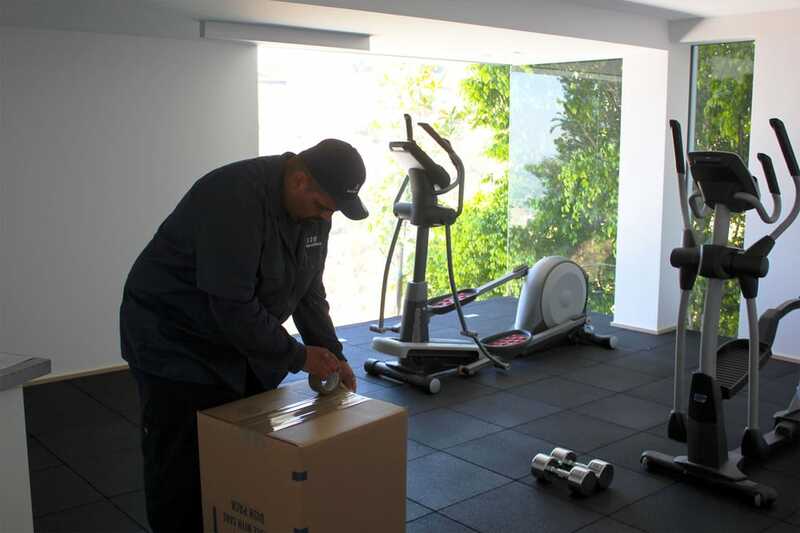 Our experienced movers are here to help you with any moving situation. We pride ourselves in offering the highest quality service while giving our customers the individual attention that they deserve.Our employees arrive on time, well presented, and ready to ensure your move goes as planned. 123 Moving & Storage prides itself in making sure that your goods arrive at its destination in the exact condition as when it was packed and loaded.We are a fully insured, licensed, and bonded moving company; for intrastate, regulated by the State of California (MTR# 191301) and interstate, by the Federal Motor Carrier Safety Administration (MC# 724904). 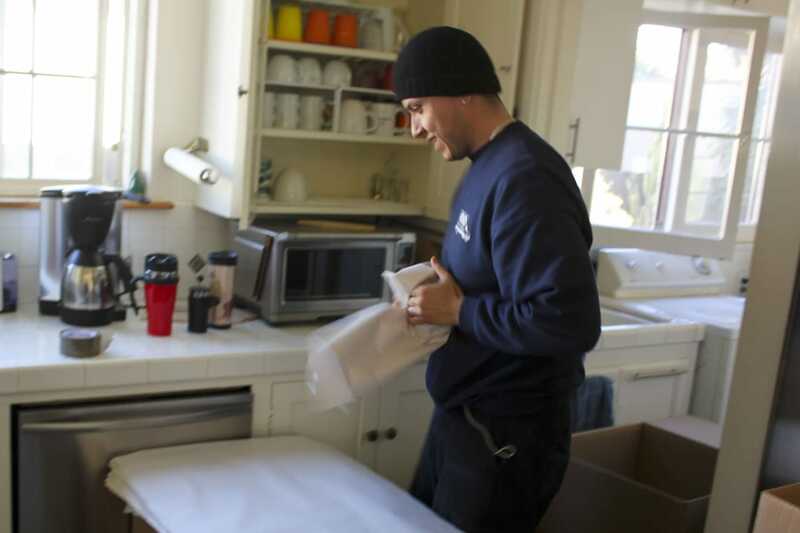 We offer local and long distance services, as well as full-pack and unpack household and commercial services. In addition, we offer a full service storage facility and mobile storage containers. Established in 1998. 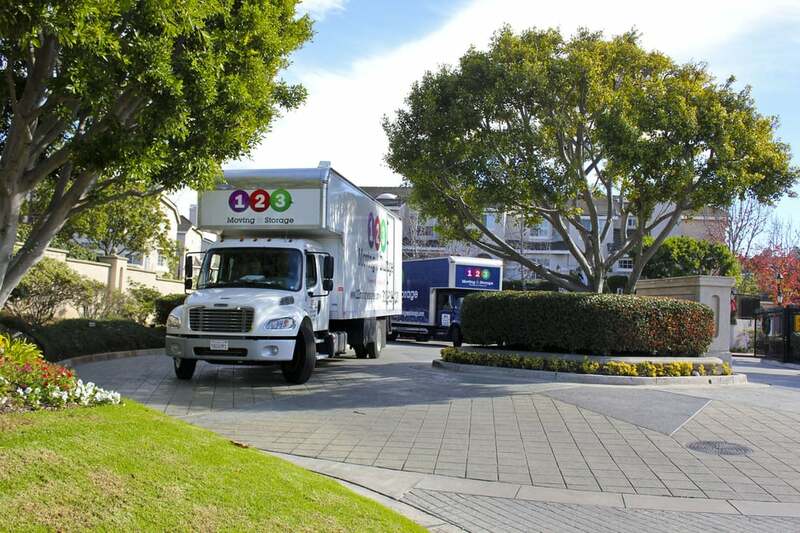 In 1998, Jason started JC Movers, a Santa Monica-based furniture moving and delivery company. JC Movers changed its name in 2000 to its current name, 123 Moving & Storage. The name change came when Jason and his brother/partner, Paul, came up with a simple but true statement: It's As Easy As 123 Moving & Storage. 123 Moving & Storage has transformed from a grassroots moving company into a highly experienced corporation, which now offers several options for any move. So impressed by this company! Called a week before our estimates move date, I was given a pretty accurate quote over the phone (which is sometimes difficult to do.) The day of the move they had a very professional crew all with names on their uniforms. All the furniture was wrapped thoroughly with blankets and plastic wrap as well as labeled... we felt really great about the way the furniture was protected and handled. All the tasks the day of he move were done diligently and efficiently by the crew. At one point we actually had more furniture to be stored than originally anticipated. The Forman was able to get another truck and small crew to our house on the same day to complete the job. So thankful for their ability to work with the situation that day and handles it very professionally. Very happy with the whole experience, thanks 123 moving!! Can't say enough about Sean and the guys at 123. We moved from LA to Austin after 11 years in the same house so it was a lot and I expected some issues. They were on time, careful and all nice guys to be around. There was one issue off course, my large screen TV getting smashed. I learned moving companies are only contracted to pay a small percentage of value based on weight(so look into better insurance for your stuff with ANY movers). I thought I was screwed but 123 stepped up and covered way more of the replacement cost than they were obligated to. Would use them anytime I need someone in LA. Excellent moving and storage company. We were remodeling our house and needed to pack up and move everything to storage, so I used 123 for packing, storage, and moving. Customer service was top notch. Calls were returned in a very timely manner, and I was made to feel like an important customer. In both the move to storage and back home, the moving crews were professional, well trained, on time, and friendly. Nothing was broken or lost, and everything came back in the same condition as it went out.I would definitely recommend them and use them again. I had my things in storage while we remodeled our house. We paid $530 a month for 9 months. My furniture was just delivered and is FILTHY. There is dirt caked onto my mattress. They were also 2 hours late. I will NEVER use this company ever again and would NEVER recommend them.I asked the owner to come out and look at the items and he refused and said he "can't" They also wrapped packing tape around my custom dining room table. Which is now covered in blue tape that has taken off the paint. This is my third time using them in the last 7 years (once for residential and twice for commercial moves). That should tell you a lot about about this moving company. We just moved our office again and Jimmy and his crew were true professionals, packed, padded and plastic wrapped all of our furniture and assembled it again. Nothing was broken and the entire process was a breeze and on time. The service has been consistently five stars in all three moves. The entire staff at 123 is spectacular and caring. 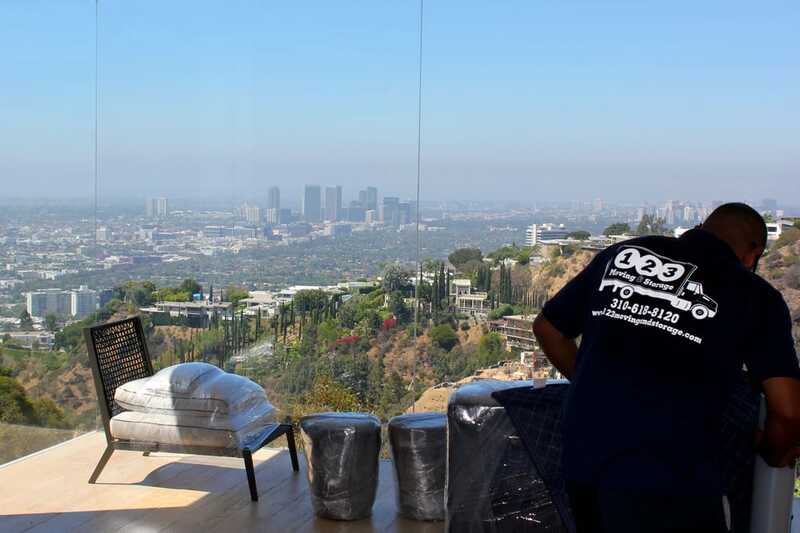 By far, the best movers you can hire in LA for residential and commercial moving.